Submitted by Μαρία Καραγκούνη on 21/09/2005 - 11:43. “Enter the mysterium” gave me the impression of a project rather than just an album. The ten comprising songs were written in a two-years time and all bear a background of thought and research. What is the concept of this release and what were you hoping to achieve with it? P.Ulrich: Yes it is a project - an album with a theme running through it. My previous album, Pathways and Dawns, was a collection of unrelated songs - songs which were written from ideas contained within me. When I started writing the next album, I decided I wanted to extend the boundaries and add new elements which would enrich the writing process for me, and therefore hopefully also enrich the listening experience. Also, I somehow consider themysterium.info website as part of this project.. Was it in your mind while the album was coming to life? Did you put it up yourself? The texts and the pictures are very vivid and coherent. Besides from music, are you interested or engaged in other forms of art (photography,literature,painting etc)? Or maybe some sort of “universal artistry”? P.Ulrich: When "Pathways & Dawns" was released, I did not have a website - in fact it was not until several months after the release that my original website was established, and I realised that I lost of lot of potential promotion opportunities because of this. So it was very important to me that a complete new website would be launched to coincide with my next album. It was a very deliberate plan to put only the lyrics in the CD booklet, with all the research and background information on the website. This allows anyone who buys the CD to either just take the songs at face value and enjoy them through their own personal interpretation, or to visit the website and find out more about the meaning of each song and of the overall theme of the album. The website was created for me by an old friend - Tony Pinfold - who is an artist and photographer and whose website designs I admire, and he and his wife Therese administer the site for me. I wrote all the texts on the website. The photographs on the website and on the CD booklet are a mix of pictures taken by me, Tony and some friends in America - Shane and May Beck. The front cover image is a photo taken by me, because I had a very specific idea what I wanted for that - but I am not 'a photographer'. I am very interested in all art forms, but I am not actively engaged in any other than music. “Pathways and dawns” was recorded in pretty much an one-off, improvising way. To some extent this also applies to “Enter the mysterium”, as it has a quite realistic and somehow open sound. Do you believe that spontaneity is important for creation and to what extent is studio work damaging to its spirit? 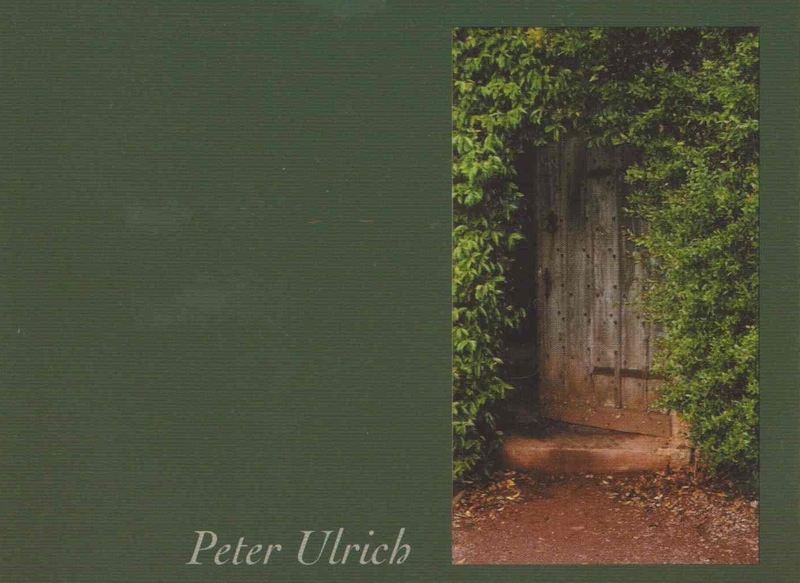 P.Ulrich: I wouldn't really describe the way I write as being improvisational, but I would describe it as spontaneous. I like to throw a lot of ideas together quite quickly and see what the effect is. If I think it is working, I will go back and make a more careful and accurate recording. So, yes, I do believe that for me spontaneity is an important part of the creative process. But I don't find that the recording work in the studio damages the music's spirit. I understand what you mean - that there can be a danger of losing the original fee spirit of a song once you start to do all the technical work in the studio. Sometimes I have experienced that temporarily - but ultimately, if the piece of music is strong enough, the spirit of that piece will find its way to the surface. In recording "Enter The Mysterium", I used a lot more real instruments than on my previous album "Pathways and Dawns" - and I really enjoyed this. However, I do still think there is a very important place in my music for sampled/synthesised sounds. I certainly do think that the two can work together - and I think it is great to have as many options as possible available during the writing and recording process. So, you've used original intrument sounds as well as synth-created ones... Can the latter be compared to the real thing? The list of instruments you used and performed to record the album is quite a long one and I suppose your private collection must be quite big. I understand that it’s kind of like asking which is your favorite child, but which one would you pick out as your favorite instrument and for what reason? One from your many percussion ones or have you had an even bigger attraction to something else in the course of time? P.Ulrich: Hmm, an interesting question but, as you suspect, an impossible one to answer. I do have quite a good collection of instruments, though I would love to have many more! And many of them are special to me in different ways. I still have my first ever drums - a small pair of clay and calf-skin bongoes which I've had for over 35 years! They are only a very simple, cheap pair of drums, but naturally I have a very special affection for them. I love my African drums - including the djembe, darabuka and talking drum - but I couldn't possibly pick a favourite, or say whether I like them better than my yang ch'in or my guitars. I have recently been to Tunisia where I bought a beautiful Oud (Arabic lute). I am still getting it to hold its tuning, and am just starting to experiment with it. It's always exciting to have a new instrument with a new sound to explore. Since 1982, you have contributed to 4 Dead Can Dance studio works and have performed many times with them on stage, up until 1990. How did you find each other and what can you recall from that time? The mysticism, the aura of enchantment and awe that passes on to the listener, was it dominant at the creative process too? P.Ulrich: I met Brendan and Lisa in London shortly after they arrived from Australia in search of a recording contract. Their original drummer couldn't make the move to London, so they were looking for a new drummer. I was lucky enough to be in the right place at the right time! I was very excited when I first heard the music which they were writing - I thought it was brilliant and it was fantastic to become a part of it. The elements which you know as being central to DCD were already there, but they were in a very raw state at that time. There was a huge energy in the music, sometimes even aggression, which I would say became replaced by more refinement in later years - I guess that's the same with a lot of bands. How did Brendan and Lisa put their songs together and to what extent did their fellow musicians have creative freedom and contribution? Is Lisa the same incredible unearthly siren godess in real life? P.Ulrich: The writing process was largely directed by Brendan. Paul (the original bass player) and I were certainly encouraged to input ideas, and Lisa obviously had a big input to the songs which she sang on, but Brendan was the one who really pulled everything together and moulded DCD's music. Essentially, DCD was always (from day one) and always will be the creation of Brendan and Lisa working together. Nobody else has ever been essential to creating the DCD sound. It is impossible for me to relate to your description of Lisa - though I can fully understand why you might perceive her like that. To me she is a close friend who I have shared a lot of experiences with. To be standing next to her on stage while she is in full flow with her singing is an amazing and unforgettable experience. The intensity is extraordinary and she is a magical performer. Off stage and in ordinary life, there is still an element of that aura with her always, but, of course, she is a real person who does normal things just like everyone else - cooking, shopping, watching TV, chatting, and so on. She is actually great fun to be with - she has a great sense of humour and is a wonderful story-teller. 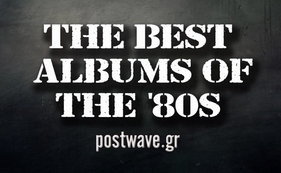 Were you present at their incredible 1990 Pallas concert here in Athens? P.Ulrich: Yes, I played with DCD in Athens in 1990. It was DCD's first visit to Greece and we were not sure what to expect, and it was also the very start of the tour - which is always a nervous time. But the reception we received in Athens was fantastic - everyone was really welcoming and did everything they could to make the concerts go smoothly. It was on this visit that I met Nick Sarikostas who works in the music industry in Athens. Nick has remained a great friend ever since and has given me a lot of help and support with my solo releases - it is through his hard work that my albums are available in Greece. Aside of DCD, I have also had a couple of wonderful holidays on the Greek islands, and I love Greece very much. I imagine that you must have attented one DCD performance from their recent tour,haven't you? What kind of feelings did you end up with after the show? P.Ulrich: I attended both the DCD shows in London on the recent European tour (together with Nick who came over to join me). The shows were fantastic. Of course, I feel a tinge of sadness not to be involved, but I am really happy that Brendan and Lisa have taken a new incarnation of DCD out on tour. They were both in great form and it was a very well balanced set of material. I felt completely exhilerated by the performances, and it was really good to see Brendan and Lisa afterwards as I hadn't seen them for ages. They are now on tour in America where for two of the shows (New York and Hollwood Bowl) they will play with a 45-piece orchestra - that will be some experience! You'll have to excuse this string of DCD related questions but they are a big chapter of music and eventually of the life of their listeners. And the life of their co-working artists obviously. Therefore, the "former Dead Can Dance percussionist"-title follows you around. Brendan Perry also helped and supported the making of your first album. On the long run, as a solo artist, does this attribute work for or against you? How fondly do you look upon the possibility of a new release from them and would you work with them again? P.Ulrich: I am very happy to always acknowledge my past associations with DCD. It was a very big part of my life and a huge influence. Brendan and Lisa taught me an immeasurable amount about music, have always been very supportive to me, and really, without them, I doubt I would ever have released a solo album. With my first solo album - Pathways and Dawns - Brendan was also directly responsible for making it happen in that six of the eight tracks were recorded at his studio in Ireland, with him engineering, arranging, producing and performing several parts in the songs. I know from the feedback I get that a lot of the people who have bought my CDs are also DCD fans - I am perfectly happy about this, but I would also like to reach out to an extended audience of my own. I think I represent a lighter, simpler, folkier side of the musical territory inhabited by DCD, and I think my music has its own identity. If I am compared too directly with DCD, I will (of course) fall short in the comparison - I certainly don't have a voice to compare with either Brendan or Lisa, and my music doesn't come close to DCD's spiritual intensity. But I think I write some good melodies and create strong rhythms, and I believe I have something of my own to offer. As for a new release from DCD - of course, I would be very excited about that. I am a big DCD fan and would love to have an album of new material. I think it's unlikely that I will work with DCD again because we have grown too far apart now in the directions we've taken, and I don't really have any input to offer DCD which Brendan and Lisa need. But they know they always have my full support, and if they ever need me for anything, I will try to do it. Can the 4AD sound (what was considered as it at least) be now considered extinct, even with many of its former bands still active or reunited? P.Ulrich: I'm not sure about this concept of 'the 4AD sound' - maybe it exists for some people, but not really for me. DCD has supported X-Mal Deutschland, toured with the Cocteau Twins and performed with A R Kane, I did some session work with the Wolfgang Press, with Pieter Nooten from Xymox and with Modern English, and I was friendly with Richard Thomas - the drummer of Dif Juz. These groups were all on 4AD together in the early 80s. Then came the groups including Pixies, Throwing Muses, Pale Saints and Ultra Vivid Scene. I'm not sure how you can lump all these artists together and say they have a '4AD sound' - there sound very different to me. If such a concept does exist, then I assume it is exemplified by This Mortal Coil - which was a coming together of many of the artists involved with 4AD in the early to mid-80s, specifically under the direction of label head Ivo Watts-Russell. I presume there will never be any more activity of TMC - so in that respect, I suppose you can say that the 4AD sound is extinct. But, unless a record label is specialising in a very tightly defined sector (say rockabilly or roots reggae), it is an organic thing which will develop and grow in directions led by the work of the artists it signs. As far as I know, 4AD continues to sign interesting, ground-breaking artists in much the same way as it always did - but nowadays the personnel running the label and the type of artists being signed are very different to how things were in the 80s. Do you still have the same interest in dark as well as world music? How have different music styles and genres appealed to you through your life? What kinds of music do you listen to at the moment? Favorite albums of contemporary time and of all times? P.Ulrich: Yes, I still love the music that has inspired me in the past. But I tend to always be moving on, always looking to discover new things. I try to listen to as much as possible from as many different musical genres as possible. I do listen to a lot of world music because I love the unusual sounds and textures. Although I like a certain amount of rock/pop music, I get tired of the same guitar/bass/drums/keyboards mix being regurgitated time and time again. I have a particular fixation at the moment for music from the countries of north and west Africa bordering the Sahara. Rachid Taha's grinding Algerian rock and Tinariwen's gentle desert blues are two particular favourites, while Ali Farke Toure has just released yet another brilliant album, this time duetting with kora player Toumani Diabate. I have been listening a lot recently to Robert Plant's 'Mighty Rearranger' album which uses influences from Saharan music to great effect - I really like that album. I also still listen to quite a bit of early music. The groups which use reproductions of original instruments and try to accurately reproduce the music as it would have sounded in medieval and renaissance times again attract me because the sounds and textures are so different. Amongst contemporary rock, I am really looking forward to hearing the new Elbow album. I love their first two albums, and when I saw them in London about a year ago, it was one of the best gigs I've ever been to. 3) OK Computer by Radiohead. Could you help me clear out a couple of things about "Enter the Mysterium"? I was wondering about the pictures in the booklet... where were they taken, what do they depict and also if they serve a specific purpose besides aesthetics. P.Ulrich: The photographs on the front and back of the cover booklet are images which create the impression of being invited into somewhere mysterious and interesting - a visual metaphor for 'Enter The Mysterium'. The photograph inside the booklet of Turkish cave tombs is simply a stunningly beautiful picture which is included purely for aesthetic reasons. The symbol in the booklet was one I designed at the suggestion of my label to complement the ideas contained in the albums lyrics. 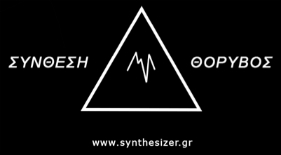 The ETM symbol is made up of a number of established, recognised symbols (some religious, some classical, some alchemical, some folklorical) - and there is at least one element of the symbol which in some ways represents each song on the album. Also I found the choise of the record company rather weird... City Canyons is an american record company as Projekt, though it doesn't seem to share its orientation. Either way does music of the kind appeal better to the american audience rather than european? P.Ulrich: The decision to release through an American label was purely based on market forces. While I am still trying to make my solo work known and build my own audience, it is really necessary for me to use the DCD-connection in my publicity - and roughly half DCD's worldwide album sales are in America. I therefore need an American label to cover that market for me, while other countries are covered by licensing or distribution agreements. Projekt seemed a natural home for me and I was delighted when they agreed to release Pathways and Dawns. Although the album received a lot of really good reviews, sales were disappointing and, when he heard Enter The Mysterium, Projekt label head Sam Rosenthal felt that I had moved away from what would appeal directly to the Projekt audience base. We terminated the contract by mutual agreement and we remain good friends and still support each other's ventures. But this left me looking for a new label. I decided to try some completely different labels, and was quite surprised when City Canyons showed an interest. Trebor Lloyd, who runs City Canyons, heard something which he liked in my music and offered me the opportunity to sign with a dynamic new label which is trying to build a very broad repertoire with artists covering many different genres and trying to take this to a mass audience rather than concentrating on a particular sector. I like this idea of breaking down barriers and trying to get people to explore new music rather than living within the comfort zone of a genre. So, although City Canyons might appear an odd choice, I actually feel very comfortable with the label - and they have been working very hard on promotions for my album, so things are working out well. We have also been able to licence Enter The Mysterium to Dutch label Music & Words for the European release, and they have issued it in SACD format which has added another interesting dimension. Ultimately I hope that my music can potentially appeal to people anywhere in the world, but at this stage I still have to look for music industry partners to help me open up the sales territories which will enable my solo work to become established. "Enter the mysterium" is a look inside those mysterious aspects of life: beliefs, religion, mysticism and the supernatural, filtered through specific, quite extreme situations or myths. Was this study done in a purely academic/story telling kind of way? Metaphysical sessions, Zoroastrianism, the extremes of human perseverance, witchcraft, one of the most important symbols of Christianity, superstitions and worship of the natural elements and Mother Earth, spiritual possession of mere objects, are mentioned in some of the stories depicted in the album. If this is not too personal a question, does mysticism, spiritualism or religion appeal to you also as a person and do you share any of these beliefs besides being faschinated by them? P.Ulrich: Yes, I suppose the approach to the research was done in an academic way in that I searched newspapers, magazines, books and the internet for information, made extensive notes, and then used those notes as the basis for writing my lyrics. My interest in the subject matter is purely as an observer. I am not a religious, spiritual or mystical person, but I am fascinated by those phenomena and I love to explore them. I also feel very strongly that a lot of conflict and evil in the world stems from ignorance and a lack of understanding of the history, cultures and beliefs of others, and that a wider understanding of these subjects can break down prejudice and mis-placed fears. "Through those eyes" features your two young daughters on vocals and violin resulting in a very warm and sweet song. Is that you favorite track from the album? It must be a wonderful experience for a musician. Was it something you always wished to do or it just happened accidentaly? P.Ulrich: Louise was 15 and Eleanor 12 when we recorded that song in 2003. It makes the song very special to me, but I wouldn't say it makes it my favourite. I cannot choose a favourite song from the album, any more than I can choose a favourite instrument from my collection - these are impossible requests! Having the girls appear on the album wasn't something I had planned in advance. It just came about as an idea while I was writing that song. I could hear sounds in my head that I wanted to introduce and the girls were able to provide those sounds. Do your children share your tendency and talent in music? Is a proper musical education of your concern? But can it actually be taught or is it just in the genes? P.Ulrich: I don't know if musical ability is necessarily genetic - I believe there are examples of fine musicians whose parents have little or no obvious musical talent. But I do think that at least some element of it is innate. I think most people have the ability to understand, enjoy and participate in music - but quite clearly there is a marked difference in how hard different people have to work to achieve certain levels. I have always loved music, and I think my sense of rhythm is innate, but playing an instrument does not come particularly easily to me. Brendan, for example, is a much more natural musician than me - and his brother Robert is one of the most extraordinary people I have met in this respect. I am sure you could give Robert any new instrument, lock him in a room with it for three or four hours, and he will emerge playing it to a reasonable standard. Eleanor learns violin in a formal tutoring process - she is working through the grading system and recently passed her Grade 5 examination, she has lessons at school and she plays in a local youth orchestra. Louise, like me, did not respond to formal musical training, but she loves music and she has a guitar, a keyboard and a hand drum and teaches herself to play. I don't try to influence them - I let them make their own decisions about what they want to do with music. Finally, in a way "Enter the mysterium" is literally a solo album, as you did almost everything in and about it yourself. Was this self-sufficiency a concious choise and part of the concept? Are you interested in the mysterium's live presentation and how would that experience differ from the studio one? Would you be more engaged in the percussion and vocal part? P.Ulrich: I find it easier to work alone when I am writing and recording music, and I do enjoy performing as many of the different parts as I am able to. I am not a trained musician, I do not read music and I am not a natural improviser, so working with other musicians at the writing/recording stage is not an obvious thing for me to do. Having said that, I enjoy occasionally bringing in somebody to play a part on an instrument which either I do not play or which is beyond my technical ability. 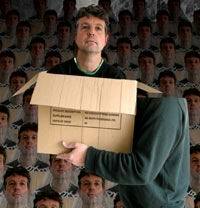 Up to now, my solo recordings have been entirely a studio project. None of these songs has ever been performed live and I have no band that I have worked with. I often imagine what it would be like to arrange my songs for live performance, and how it could work, and what I would do! But in the forseeable future, my other commitments prevent me from contemplating any live work. I hope this wasn't too dull and tiresome. Thank you very much for your time. "Enter the mysterium" has been a very interesting and quite educative experience. P.Ulrich: Not at all dull or tiresome - it's a pleasure to do the interview with you. Thank YOU for your time and trouble, and I hope your readers will find my answers interesting.